India’s diplomatic relationship with the US is under strain in the wake of Donald Trump’s announcement that he plans to end key trade preferences for Delhi that allow the duty free import of thousands of Indian products. Trump justified the move on the ground that India hasn’t provided the United States with “equitable and reasonable access” to its markets due to its high tariff barriers. While India has so far downplayed the impact of Washington’s decision, the spat has cast a light on the country’s highly protectionist trade policies in industries ranging from textiles to pharmaceuticals and aluminium: could the tariffs actually cause more harm than good for India’s economy? The object of Trump’s anger, the Generalised System of Preferences (GSP) programme, was established in 1976 and has since gone through several renewals with the last in 2018. The purpose of the GSP is to allow emerging economies duty-free entry into the US for a range of products, including auto components and textiles. India was its largest beneficiary, with $5.7 billion-worth of its imports assigned duty-free status. 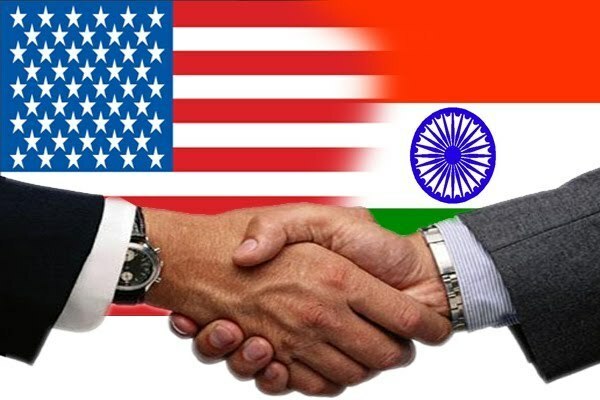 The move to revoke tariff-free status follows a review of the agreement after a number of US companies complained that the deal was adversely impacting their dairy and medical shipments to India. Washington’s announcement was hardly a surprise for international trade watchers, because India’s tariff structure has been an irritating thorn in the side of many US businesses for a long time. Prime Minister Modi’s commitment to championing home-grown manufacturing has undermined the efforts of American giants like Apple and Ford to penetrate the vast Indian market, with additional restrictions on the import of drugs, medical devices and agricultural commodities causing additional friction. For India, the impact of being removed from GSP will likely be manageable, though the situation nonetheless requires careful management. Trump’s White House has had a fast and loose approach to trade policy, and the risks of the trade war escalating further are very real, especially since the US is right to point out that India is a high-tariff economy. But what if this threat ends up strengthening India’s economy? Indeed, it’s high time for certain Indian sectors to learn how to generate revenue without the protective cocoon of import tariffs. Perhaps spurred on by the GSP debacle, the government will look to identify sectors where more market access can be provided for foreign products without causing large-scale employment losses. Doing so would not only alleviate American ire but carry the added benefit of strengthening the resilience of India’s economy too. An obvious sector to start is agriculture, where India has imposed some of the highest tariffs in the world. Successive Indian governments have traditionally regarded agricultural protection as indispensable for alleviating rural prosperity, leading to import duty increases on products such as wheat to 20 percent, chickpeas and lentils to 40 percent and 100 percent on edible oils in 2018 – all of which are main US exports. However, these tariffs have had barely tangible effects on the domestic agricultural sector. The long-standing, underlying structural issues hurting the sector persist, especially problems pertaining to increasing productivity and responding to food security needs. To break the impasse and create positive knock-on effects, diversification of crops is needed. Already in 2017, experts at the Ministry of Finance proposed to reduce agricultural tariffs and instead import planting material for new varieties of products to extend the seasonality of production and cater to shifting international demand. Another sector where India’s trade policy needs a drastic rethink is the aluminium industry, where the government is currently mulling an increase of primary aluminium and aluminium scrap import duties from 7.5 percent and 2.5 percent respectively. Spurred on by the trade war between China and the US, the country’s primary producers have been lobbying for tariffs to rise to 10%, claiming the industry is under attack by a flood of Chinese and American imports. Indeed, the US has been diverting large volumes of scrap to India due to the stricter standards in the EU. But much like with agriculture, more government protection would actually inhibit the Indian economy’s capacity to innovate – not to mention that Beijing would very likely retaliate to a move so blatantly aimed at its own aluminium industry. As unappealing as it sounds to wage a two-front trade war, the economics of higher tariffs are even scarier. To begin with, primary producers are making more money exporting their metal than by actually selling it to domestic consumers. It shouldn’t be surprising then that aluminium exports have been actually increasing year after year. In this context, hiking the import tariff is highly problematic for the 2.5 million workers employed by the thousands of small and medium enterprises (SMEs) that have to resort to foreign aluminium to produce value-added products. Instead of increasing the tariff, which would reduce the competitiveness of these SMEs, reducing or even scrapping them entirely would give manufacturing a breath of fresh air and would accelerate Modi’s “Make in India” programme. The value-added aluminium sector already contributes about 9 percent of India’s GDP, figures that could rise markedly if production costs would be lowered. For Modi, the criticism from the US should therefore be a chance to reconsider trade policy and inject new energy into the economy. Lowering tariffs in several strategic economic sector could help assuage economic uncertainties by sending a positive signal for global trade. India may still be the world’s fastest growing major economy, yet it is clear the government needs to future proof its industries and economic actors if it hopes to navigate the highly turbulent waters of international trade. High tariffs have not only antagonised an important global ally, but also choke off the country’s hard-working economic engines. Between denying SMEs the materials they need to drive manufacturing to the inefficient agricultural sector, India’s future as a high-tariff economy is increasingly challenged. Perhaps politically complicated to enact in the run-up to the elections, the long-term positive effects are hard to understate. If ever there was an opportunity for Modi to embrace an open-door policy, now is the time to act.